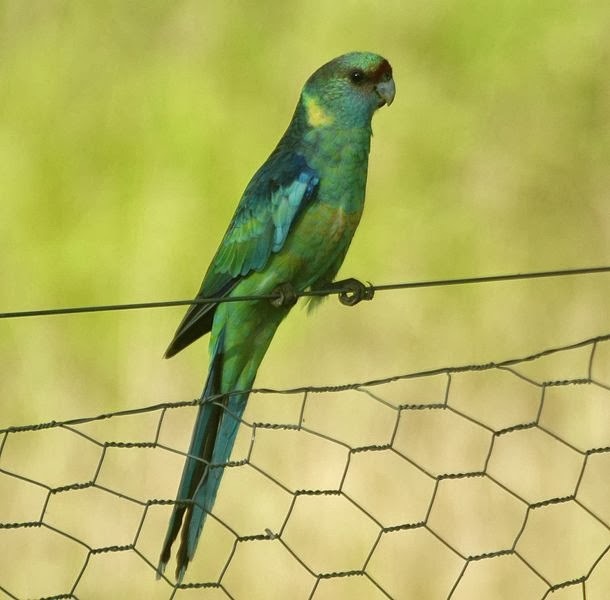 Mallee ringneck Barnardius barnardi, photographed by Tom Tarrant. The Platycercini include the broad-tailed parrots, a group of small to medium-sized, long-tailed parrots found in the Australasian region. With the exception of the basal genera Neopsephotus and Neophema, members of this group share a derived hypotarsal morphology in which the tendons of musculus flexor perforans digiti III and musculi flexores perforati digitorum III et IV are situated in a deep sulcus (Mayr & Göhlich 2004).